I’ve made my last morning pages with lacking in concentration. It is because my mind was distracted with a creative craft project. 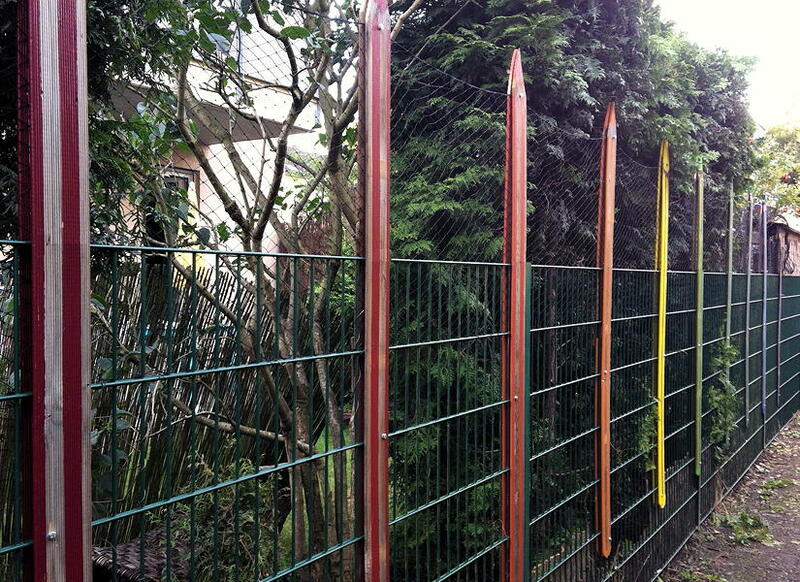 Maybe you do remember that in 2014 I planed the project “painting my fence”. Well. 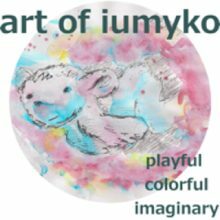 Now – more than one year later after a long break – I almost finished the project. The photos are showing the view from the foot path where my neighbours pass by. Most of them already love my work. Children, mothers, strollers and their dogs, cats. 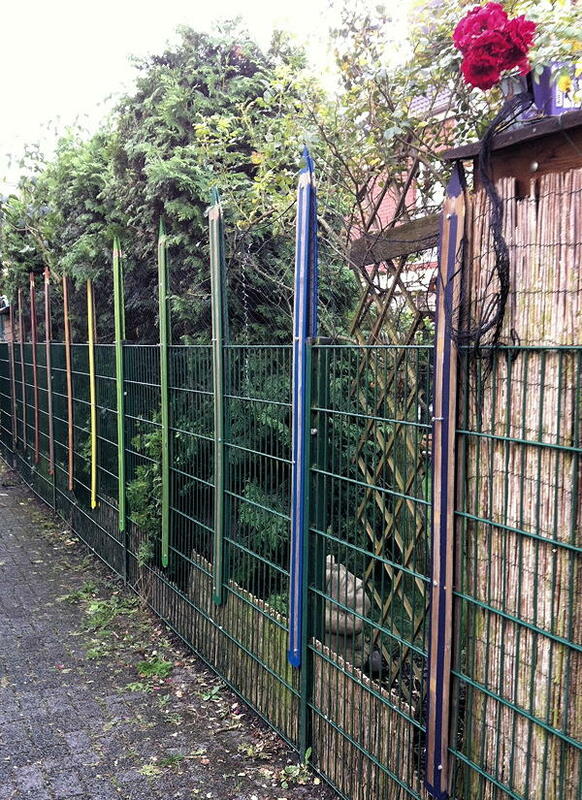 Not only have I build the colorful fence as a decoration. That’s what I have done mainly. On the second picture on the very right edge you can see the willow mattress which previously covered the complete length untill I changed it with the new design. I am lucky that my plants (lilac and thujas and roses) now are going to get more light and air and hopefully they will recover from the last 7 years in darkness behind the mattress.